Former Highlanders coach Dutchman Erol Akbay whose flirtation with the club ended last season with the club and him agreeing their bromance had lost its spark is impressed by his successor Madinda Ndlovu. It's still early days to talk about the Promised Land but a rejuvenated Bosso has got even critics turning green with envy at the flair, attack, composure, hunger for goals and systematic annihilation of opponents under Ndlovu. To top it all Ndlovu is bringing back the good old glory days with a team of youngsters jokingly code named "the ECD". In a world of technology where the click of a button can give a man in the Netherlands a taste of the cocktail Ndlovu is brewing, former coach Akbay reckons the new technical boss is striking the right notes. "When you coach a team with passionate fans like Highlanders you always take home fond memories and it's easier to follow what's happening back at Highlanders through the internet. "I lived in Bulawayo for two years so I know which newspapers to read and from the little that I have seen on the internet, they (Highlanders) are doing okay this season and it's good for the team," Akbay told B-Metro Sport. 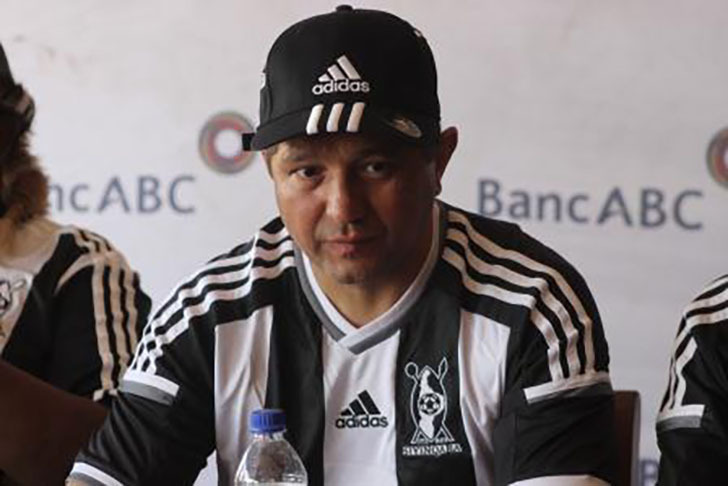 The former Bosso coach who had a good maiden season in 2016 is taking a short sabbatical from football to spend time with his family before returning to the coaching trenches. "Maybe the situation (the executive) has changed and they are giving the coach all the necessary support. A coach can only work well if the players are paid on time and they are happy," he said. During his last days at Highlanders, the former coach complained bitterly about late payment of players' winning bonuses, a situation he blamed for the low morale within his squad. Akbay's salary was paid late on several occasions. He ultimately threw in the towel. In February local businessman Kenneth Mhlophe - a firm believer in junior development - took over the power corridors of Highlanders as chairman and the club immediately roped in Ndlovu to the position of technical manager. The Warriors legend oversees Highlanders teams from the Under-14s up to the senior team. Bosso have so far managed four wins from six matches, accumulating 14 points and occupy third position on the Premier Soccer League log table.